My new business cards were delivered on Friday, the ones that have a photograph of my book covers on the front, with the words, “A Donovan Creed Novel.” I kept forgetting to carry them Saturday, but yesterday I put one in my pocket. Yesterday was a windy day with occasional sudden gusts. Though it was warm, the leaves were falling–a definite sign Autumn was upon us, so I decided to make a couple of loafs of pumpkin bread. I drove to Kroger’s, got the ingredients and a few other items. After unloading my cart, I carefully put it in the cart rack, making sure the wind wouldn’t dislodge it, or the other carts in the rack, then headed back to my car. A sudden gust of wind hit, and I instinctively looked over at the cart rack. Those carts were fine, but I saw another one in the distance that was flying across the lot, heading right for a lady who was unloading groceries into the trunk of her car. 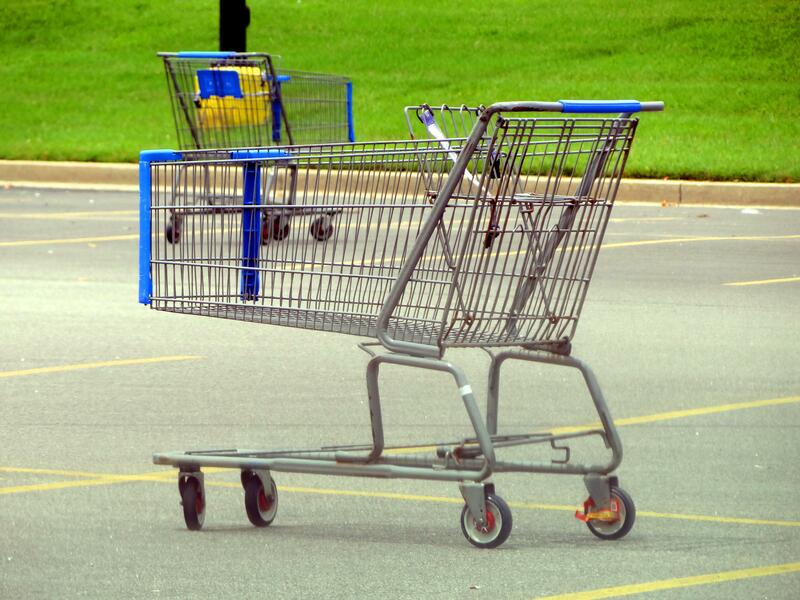 She didn’t see the cart coming, had no idea she was about to take a high-velocity hit from a runaway shopping cart. I yelled, “Watch out!” and pointed to the cart. She turned to look at me, but not the cart. I started running right at her, and she froze. I raced twenty yards or so while pointing at the cart. She finally looked at it and her face blanched. I hurled myself at the cart and managed to stop it only inches before impact. She snapped, “You think that’s funny?” I shrugged. “I thought it was heroic.” “They should put you in prison,” she said, then finished loading her groceries and drove away. Now I’m in the Subway Restaurant, ordering lunch to take home. Figure I’ll eat before starting the pumpkin bread. There’s a guy and girl working the counter. I place my order. Suddenly the guy sees something outside the window and takes off running. The girl and I watch him fly across the parking lot. He grabs another runaway cart just before it crashes into a lady’s car. She’s so appreciative she hugs him. I reached into my pocket and handed her my card. 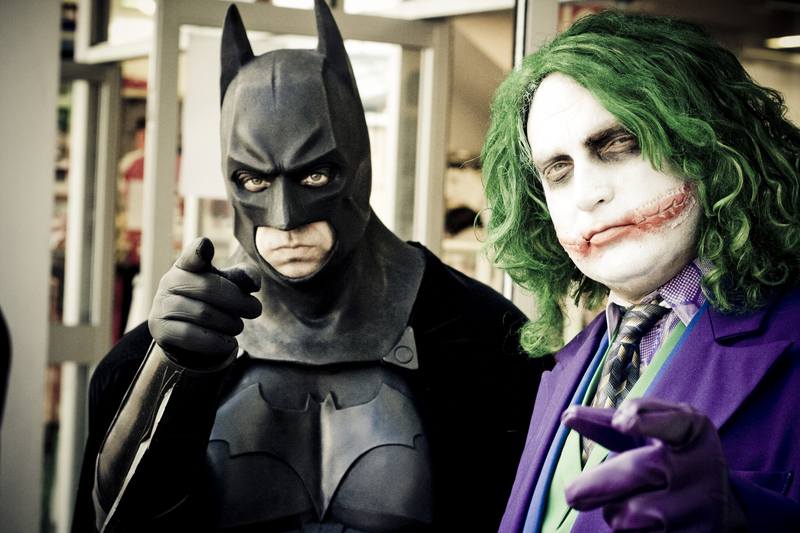 This entry was posted in Uncategorized and tagged batman, Donovan Creed, shopping cart by John Locke. Bookmark the permalink.